Stockholm has an excellent public transportation network of commuter trains, subways, and buses, making it easy to get around the city and its suburbs. 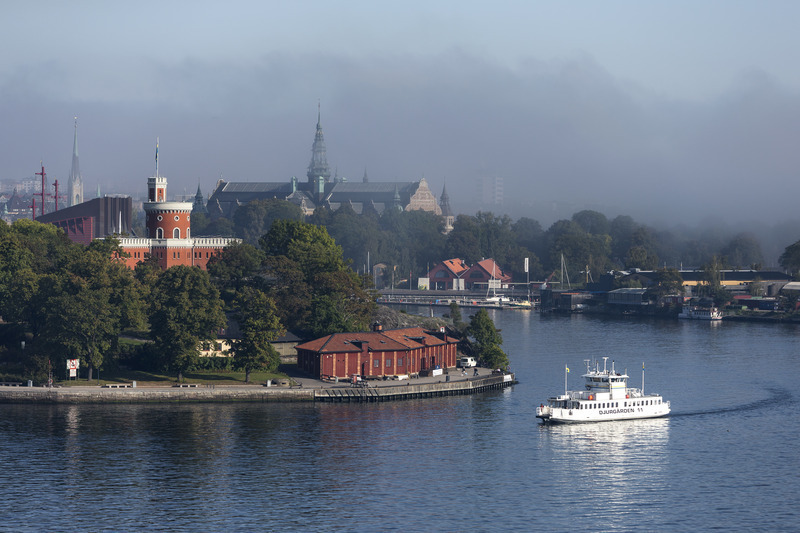 For trips on the city’s abundant waterways, there are passenger ferries and excursion boats into the archipelago on the Baltic Sea side and into Lake Mälaren. The city also has extensive rail, bus, and air links to destinations throughout Sweden and beyond. Sweden’s largest railway station, Stockholm Central, sits at the western end of Stockholm’s downtown shopping district, with its main entrance on Vasagatan. 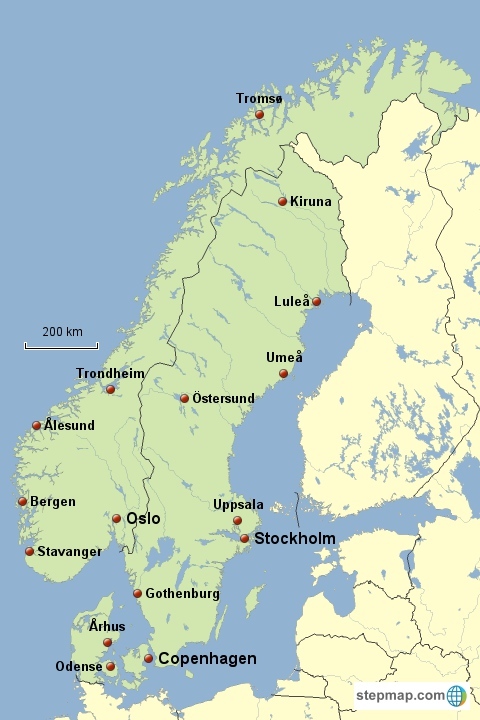 From here, trains depart for major cities and towns throughout Sweden, with connections to other parts of Europe. The station has an Internet café, currency exchange, luggage lockers, convenience stores, dining options, and other services. Tickets are generally cheapest when purchased online but can also be purchased in advance at the ticket office at Stockholm Central and other stations; many trains do not offer ticket sales on board. At the north end of the rail station is Cityterminalen, Stockholm’s main bus terminal. Buses depart from here to destinations all over Sweden. The terminal can be accessed through the entrance on Klarabergsviadukten or from Stockholm Central Station. Public transportation within Stockholm is run by SL (Storstockholms Lokaltrafik). Subway and commuter trains (pendeltåg) whisk passengers between central Stockholm and areas to beyond downtown. An underground pedestrian passage connects Stockholm Central Station with T-Centralen, the central metro (tunnelbana) station, where Stockholm’s subway lines converge. From here you can travel all over the city. Located one level below T-Centralen is Stockholm City, the central commuter rail station, opened in July 2017. There are four commuter rail lines, serving locations north and south of the city center. Stockholm City entrances are located on Vasagatan and Klarabergsgatan. Local city buses also serve routes throughout the metropolitan area, along with a limited number of streetcars. 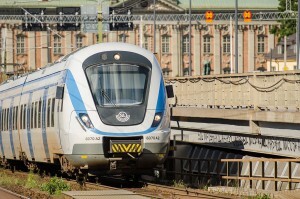 Single tickets are available for all SL travel and can be purchased at the SL Center at T-Centralen, SkyCity at Arlanda Airport, and most subway and commuter rail stations. Single tickets are valid for 75 minutes and include an unlimited number of transfers during that time. Tickets cannot be purchased on board. If purchased separately, single tickets cost SEK 45. Travelers planning to rely on public transportation will save money by purchasing an SL Access card, which can be loaded with either travel credit (with fares deducted as you go and cheaper than the single-ticket prices) or with a timed travelcard. The card costs SEK 20 and is available where SL tickets are sold, as well as at agents such as Pressbyrån and 7-Eleven. The travel credit option is suitable for travelers who only plan to make occasional short trips. Using travel credit, a single ticket costs SEK 32 for unlimited travel within 75 minutes. For those who plan to make more extensive use of public transportation, travelcards are available for 24 hours (SEK 130), 72 hours (SEK 260), 7 days (SEK 335), 30 days (SEK 890), and longer periods. These can be loaded onto a card in advance and, once activated, permit unlimited travel on SL transport during the selected period. 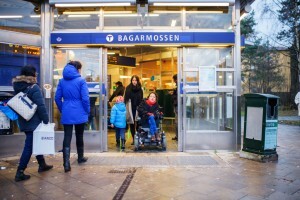 SL Access cards can also be used on SL’s three passenger ferry routes: Route 82 (the Djurgården ferry) between Slussen, Djurgården, and Skeppsholmen; route 89 between Klara Mälarstrand and Ekerö, via Lilla Essingen; and route 80 between Nybroplan and Frihamnen via Djurgården, Nacka, and Lidingö. Waxholmsbolaget operates year-round passenger ferries from downtown Stockholm to various islands in the archipelago. Tickets for these boats must be purchased separately from SL tickets. Stockholm’s principal airport is Arlanda (ARN), located about 40 kilometers (25 miles) north of the city center. The largest airport in Sweden, Arlanda has over 80 airlines serving more than 180 international and domestic destinations. The airport has excellent public transportation links into downtown Stockholm, including the Arlanda Express train, airport buses, and commuter trains. 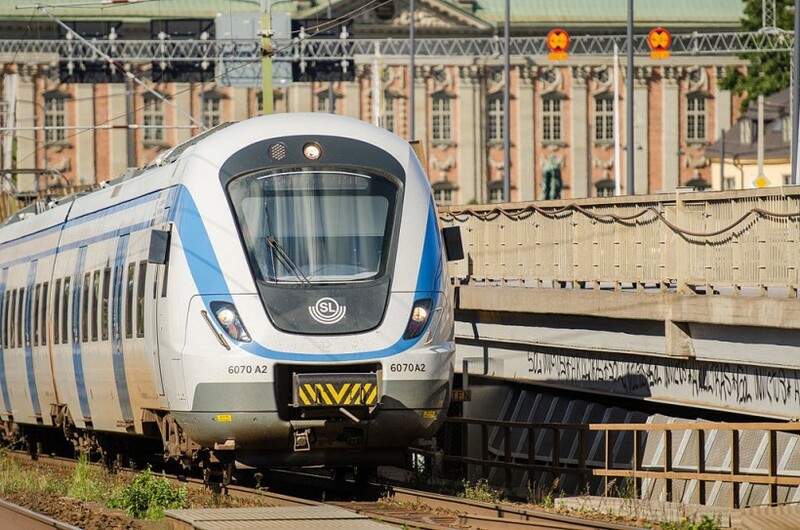 The fastest way into the city, the Arlanda Express runs four to six times an hour between Arlanda and Stockholm Central Station and takes just 20 minutes. The regular adult fare (ages 26 and up) is SEK 295 one way or SEK 570 round trip, but substantial discounts are available for advance purchases online (the further in advance, the larger the discount). Discounts are also available for two to four people traveling together (Thursday to Sunday only). 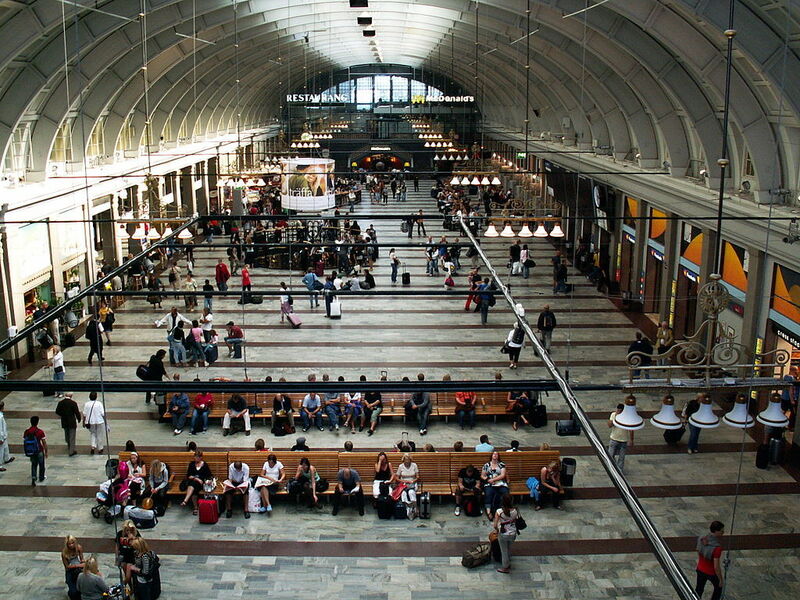 Travelers can also save money by taking the commuter rail between Arlanda and the city center. To board the commuter rail directly at Arlanda, head to the SkyCity complex between Terminals 4 and 5. A single ticket costs SEK 151. If you have (or buy) an SL Access card, you can use travel credit or a timed travelcard for the base three-zone fare, but you must pay a supplemental fee of SEK 120 to board or disembark at Arlanda. Trains from Arlanda to Stockholm City take 37 minutes and run every half hour from early morning to late night. 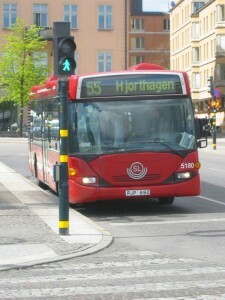 For travelers with an active SL Access travelcard or credit, the cheapest option is to take SL bus 583 from outside any of the terminals to Märsta Station and board the commuter rail there. The entire journey takes just over an hour and requires no airport supplement. Arlanda is also served by the Flygbussarna airport buses to various city center locations, as well as to Bromma Airport (see below). The regular adult fare from Arlanda to Cityterminalen is SEK 119 if purchased on board (SEK 99 online or through the mobile app), and the trip takes approximately 45 minutes. Within Stockholm city limits, the much smaller Bromma Airport (BMA) primarily serves destinations within Sweden, although there are also flights to Aarhus and Billund in Denmark, Helsinki in Finland, and Brussels in Belgium. Public transportation access to the airport from downtown Stockholm is by a combination of local SL bus and subway or commuter train. Use SL’s online trip planner to find the best route. The low-cost airlines Ryanair and Wizz fly into Skavsta Airport (NYO), located near Nyköping, about 100 kilometers (60 miles) southwest of Stockholm, with flights to and from destinations throughout Europe. The easiest way to get to Stockholm from Skavsta is to take the Flygbussarna airport bus directly from the airport to Cityterminalen in Stockholm (about 80 minutes’ travel time), although it’s also possible to take a local bus or taxi to the railway station in Nyköping and catch a train to Stockholm. Note: Prices are accurate as of January 2019.
very very informative and HELPFUL! (from Minnesota USA!) Thank you. Glad you found it helpful, Ray! Please note that I’ve just updated the prices for SL travel options and have revised the commuter rail information to reflect minor changes to commuter rail traffic and access to trains following the opening of a new central commuter rail station in Stockholm last summer. Public transportation in Stockholm is really different from Indonesia. I wonder when will we could have such an awesome system like them. If I purchase a 24 hour card must I leave the bus the minute it expires? No, you do not have to exit the minute the card expires. You may complete any journey you have begun while the card was still active, including changing subway or commuter trains within a station as long as you don’t exit the paid-ticket zone. However, you will not be able to change to any other mode of transportation (such as a bus) that requires you to swipe the card again after it has expired.